My goal in this post is to describe a surprising and beautiful method (the Stern-Brocot tree) for generating all positive reduced fractions. I’ll then discuss how properties of the tree yield a simple, direct proof of a famous result in Diophantine approximation due to Hurwitz. Finally, I’ll discuss how improvements to Hurwitz’s theorem led Markoff to define another tree with some mysterious (and partly conjectural) similarities to the Stern-Brocot tree. In my last blog post, I discussed a simple proof of the fact that pi is irrational. 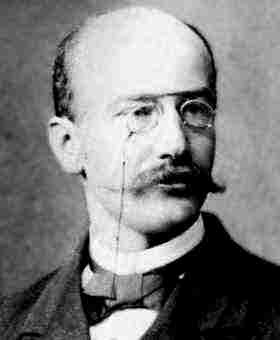 That pi is in fact transcendental was first proved in 1882 by Ferdinand von Lindemann, who showed that if is a nonzero complex number and is algebraic, then must be transcendental. Since is algebraic, this suffices to establish the transcendence of (and setting it shows that is transcendental as well). Karl Weierstrass proved an important generalization of Lindemann’s theorem in 1885.